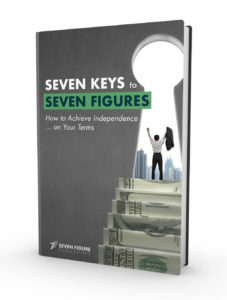 As a reader of Seven Figure Publishing, you have complete access to our growing library of free research reports. Unbiased, thoroughly-researched information and tools you’ll need to secure independence… on your terms. Simple, clear ideas to meet you where YOU are. We’ll NEVER talk over your head. And finally — ACTIONABLE ideas to grow and protect your wealth. Each provides the framework to understand what we write about in the daily issues and articles you’ll find on our website. To take advantage of these reports, simply sign up for our Technology Profits Daily e-letter next to any of the reports below. We will never share your email address with anyone. We will only send you ideas and opportunities to grow and protect your wealth — as well as the most prominent technology news each day the market is open. Highly recommended for beginner investors. You’ll discover how to get started creating your own nest egg, and then advanced techniques to grow your wealth. How the stock market works, how to choose your broker, how to find investing opportunities, even how options, shorts, and cryptocurrencies work – you’ll find it all here.